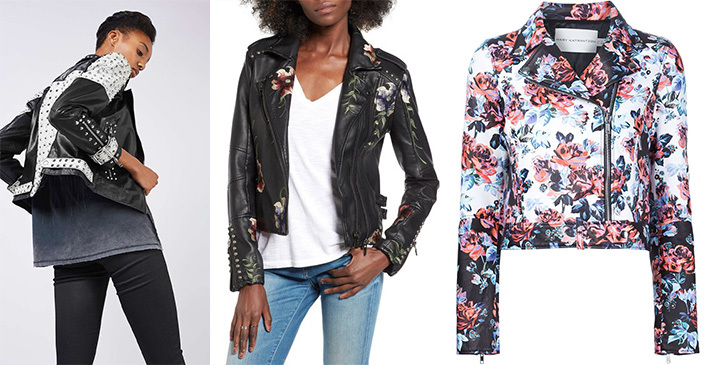 Biker or moto jackets as they’re often referred to, constantly show up on the runway and in stores. While pastel colors have been in the last couple of years, it’s back to black for 2017. Keeping things close to home, the jackets are still leather, often featuring buckles, zippers and studs. Designers glammed things up this year, however, using star and flower motifs or embellishing them with vintage inspired pins. Animal print has its ebb and flow of coming back into fashion. It’s always around, but doesn’t usually stay trendy for long. This year, only big cat prints are in, finding inspiration in the 60’s and 70’s. Leopard, cheetah, jaguar, lion and tiger prints were spotted on the runway in the form of fur coats, sweaters, dresses and pants. Even embellishments featuring the cats were seen printed on blouses and sweaters and adorning the ears and necks of models. Keeping things shiny but elegant, vinyl made an appearance in many a fall/winter collection this year. 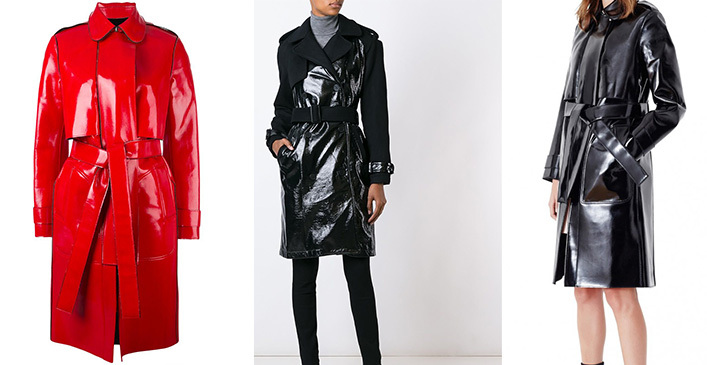 Trench coats in particular swooped down the runway, pairing with dresses and edgy sweater and pant combos that transition easily from day to night. Nina Ricci, Lanvin, Dior and Loewe rocked the vinyl trend, inspiring many knockoffs to appear in Nordstrom and goth-inspired brands like Lip Service.